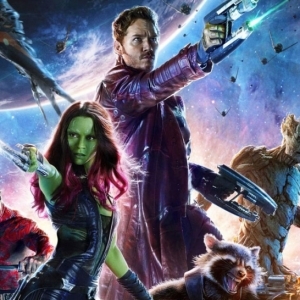 No film in 2014 has been as enjoyable as Marvel’s rollicking “Guardians of the Galaxy.” The movie does not get lost in the wonderful special effects, and expertly blends sharp humor with quality storytelling. When you’re done, you’ll be smiling for hours and saying, “I am Groot.” Available December 9. Nicely crafted and inspiring story about high school football coach Bob Ladouceur, who took a sad sack football program in Concord, California, and raised it to one of the nation’s best. Available December 9. There’s not a lot to say about TMNT. It’s silly and over-the-top, but there’s something about giant turtles (and a rat) fighting a bad guy named Shredder that just works. The film will probably play best with older pre-teens and teens, but if you have a soft spot for Raphael, Michelanglo, Leonardo and Donatello, you’ll probably enjoy the tale. Available December 16. Melissa McCarthy’s sitcom returns for a fifth season. Expect McCarthy and co-star Billy Gardell to continue to deliver quality laughs. Monday, December 8, CBS. FX’s thrilling motorcycle saga comes to a bloody close after seven seasons. The bodies have piled up all season and the series finale should add to the count. Tuesday, December 9, FX. The holiday classic marks its 50th anniversary. Even after half a century Rudolph remains one of the very best Christmas specials. Tuesday, December 9, CBS. The 200th episode of “Bones” looks to be a fun one. Bones and Booth and the gang celebrate with a Hitchcock-inspired episode set in the 1950s. Star David Boreanaz directs. Thursday, December 11, Fox. Secrets are emerging. Fox’s brooding mystery comes to a conclusion as Danny’s killer is revealed. Expect numerous shattered lives. Thursday, December 11, Fox. Netflix drops all 10 episodes of this epic mini-series about the legendary traveller and adventurer. The lavish production (reportedly costing close to $100 million) is adult-oriented. Friday, December 12, Netflix. What would December be without a Lifetime holiday film? This week we have former TV stars Melissa Joan Hart, Jaleel White and John Ratzenberger in a silly, but life-affirming tale about a con-man whose crimes earn him a court-ordered stint as a department-store Santa. Saturday, December 13, Lifetime. Aaron Sorkin’s television drama comes a conclusion after three years. Sunday, December 14, HBO. Expect lots of fun as Stephen Colbert wraps up this comedy masterpiece after nine years. Thursday, Dec. 18, Comedy Central. The end is here for Neal, Peter and rest of the “White Collar” team. Catch the end of one of TV’s most enjoyable crime shows. Thursday, December 18, USA. HBO is teaming up with director Martin Scoresese to produce a 1970s era rock and roll series. Stars attached to the production include Ray Romano, Oliva Wilde, Juno Temple and Bobby Cannavale. Look for it some time in 2015.